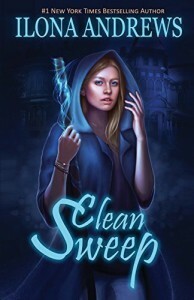 Clean Sweep - Ilona Andrews - review - There is a great need for a sarcasm font. Yes, indeed! I really enjoyed the story and the world that starts with this series of books. Looking forward to reading the next one.